Essential Function: Design, develop, implement, support and maintain E-commerce website using WebSphere and Java utilize WebSphere software family and other integration technologies. Assist with planning and creating timelines on projects to meet the business requirements. Test, debug, trouble shoot code to resolve programming issues. Provide off hours support as needed when issues occur. The aforementioned is intended to describe the general content of and requirements for the performance of this position. It is not to be construed as an exhaustive list or statement of duties, responsibilities or requirements. Minimum 3+ years of experience in WebSphere and Java. B.S. in Business, Computer Science, MIS or related field. Needs to be an organized efficient developer with the ability to work with others or alone. Experience with integrating complex systems using web services standards such as REST, WSDL, SOAP, etc. Excellent communications and analytical skills. 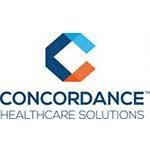 Concordance Healthcare Solutions, LLC was formed through a merger between three independent healthcare distributors, Kreisers, Inc., Seneca Medical, and MMS – A Medical Supply Company. We are committed to becoming the most respected healthcare distribution company in the country by providing best-in-class service to our customers. Through our dedicated staff of over 1,000 employees, working in strategically-located distribution centers across the country, we offer dynamic supply chain solutions to the entire healthcare continuum.